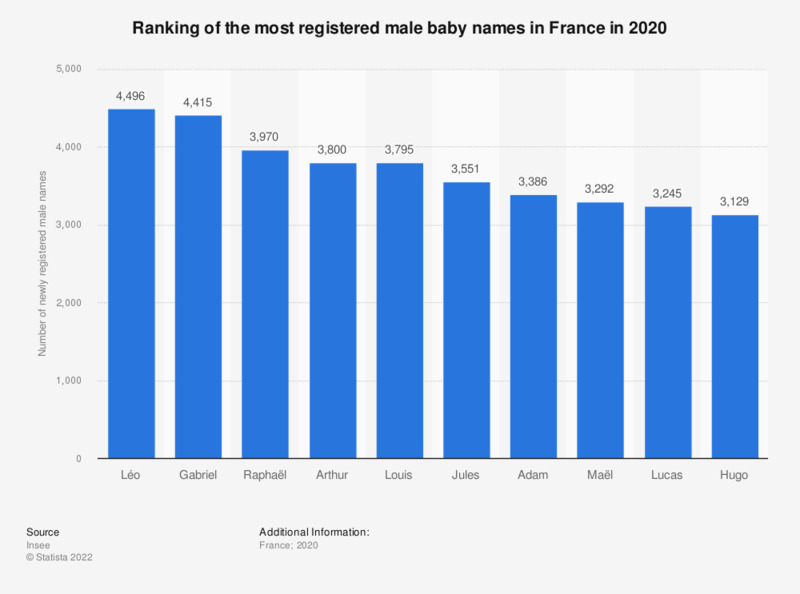 This graph presents the ranking of the most popular male baby names in France in 2017. It shows that Gabriel was the most popular baby name for boys with 5,428 new registrations in 2017. How often to you listen to music on the internet?